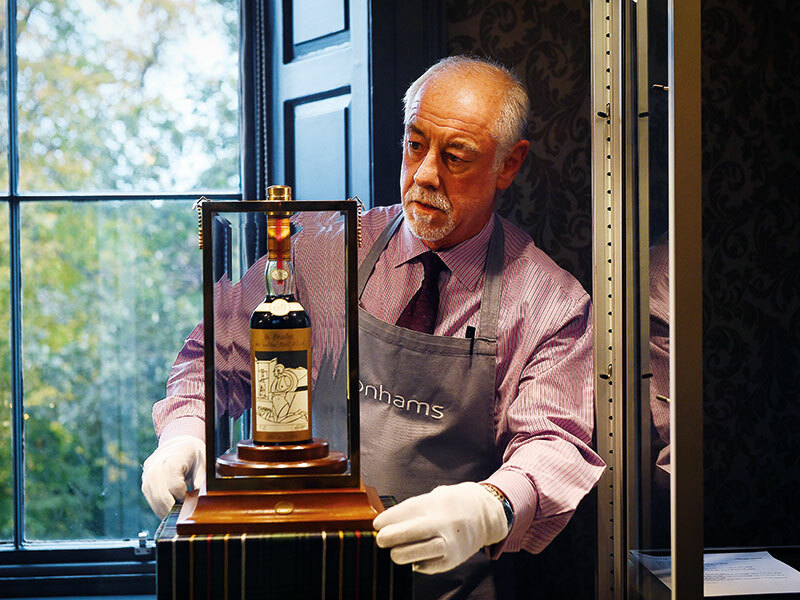 The most expensive bottle of whisky ever sold – a 1926 bottle of Scotch that had been hand-painted by Irish artist Michael Dillon – was purchased for £1.2m (€1.38m) last year. While that may be the world-record figure, it is not unusual for rare, antique spirits to fetch thousands from collectors and investors – and unsurprisingly, with such high figures involved, this market has also attracted its fair share of fraudsters. A report late last year revealed just how widespread this problem is. Tests commissioned by Rare Whisky 101, a whisky valuation and consultancy service, and carried out by the Scottish Universities Environmental Research Centre (SUERC) found that more than a third of vintage Scotch whiskies may be fake. Out of 55 tested bottles, 21 were found to either be completely inauthentic or, at the very least, not distilled in the year they claimed to be. The findings could have huge ramifications for the rare whisky market, which has been experiencing rapid growth of late: the value of rare Scotch whisky sold at auction rose 46 percent across the first six months of 2018. If the proliferation of fakes dampens market enthusiasm, it could prove damaging for whisky fans and investors alike. 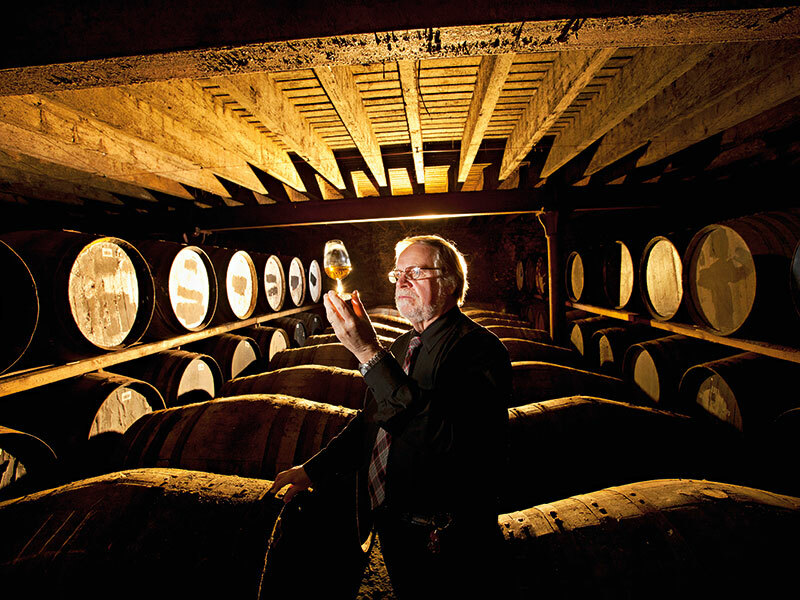 Technological developments have given whisky brokers another weapon in the fight against fakes. In SUERC’s tests, radiocarbon dating was used to identify the age of the whisky samples, a process that can give a distillation date – accurate within two or three years – for any bottle distilled after the 1950s. Older varieties are harder to measure accurately. Major distillers lent their support, providing the centre with samples of verified age. Still, identifying fakes needn’t always rely on a radiocarbon laboratory. Other forms of scientific analysis can be carried out to identify a whisky’s provenance, including measuring its malt-to-grain ratio and its phenol count. Individuals with extensive knowledge of the market may also be able to employ a less technical approach: a visual inspection can show irregularities with the labelling, glass and liquid itself. A nose and taste test, if possible, might also prove enlightening, depending on the method employed by the fraudsters. “We broadly categorise fakes into three distinct areas: refills, replicas and relics,” Andy Simpson, co-founder of Rare Whisky 101, told European CEO. “Among the most difficult to spot are the refills, which tend to be where a genuine, or as near as can be faked, capsule or closure is slipped off a genuine bottle, the contents are then refilled and the bottle reclosed. Given the variety of methods employed and the sheer prevalence of fake whisky on the market, buyers are advised to be extremely vigilant. In particular, any bottle of Scotch from before 1900 should be presumed fake until it can be proven genuine. Even for newer bottles, purchasing expensive whisky on the secondary market must be done with caution – regardless of whether it is coming from a reputable seller. In the vast majority of cases, sellers are not aware that the whisky they are offering is fake. Nevertheless, the widespread nature of the problem makes it a difficult one to solve. In the tests deployed by Rare Whisky 101, fakes were purchased from private owners, auction houses and retailers. Evidently, there is no single route that fraudsters are using to get their goods on the market. The industry is working hard to make newer releases more difficult to fake with the use of anti-tamper security and high-quality closures, but antique bottles still represent an easy target. Many of these bottles are now appearing on the secondary market and are relatively easy to refill or copy completely. It is a challenging issue to resolve, but technological development could come to the rescue. In 2017, Scottish start-up Distilled Solutions won £90,000 (€104,000) in funding for its hand-held scanner that can accurately detect the age, blend and cask type of a particular spirit. Unfortunately, this approach will only work for relatively modern bottles. The threat of legal action may be the only way to thwart the rising tide of fake whiskies. Lawyers working on behalf of the Scotch Whisky Association, for example, typically have around 70 ongoing court cases at any one time. Often, these efforts focus on low-cost, generic fakes being sold in foreign markets, but the likelihood of going after high-value fakes will grow as awareness of the problem increases. For purchasers and sellers of rare whiskies, obtaining a history of previous owners can help to determine when fraudulent bottles entered the market and identify the individuals responsible. Due diligence is the best way to avoid being scammed – whether bottles are being purchased to drink, to collect or as an investment. Rare Whisky 101’s Apex 1000 Index, which tracks the best-performing bottles of rare whisky, offered better returns than both oil and gold indexes last year. It is clearly a lucrative market and a quick online search could be all it takes for investors to spot the difference between a fake bottle and a genuine one. While the preponderance of fake whiskies is certainly of great concern to investors and distillers, it could have more serious implications. When bottles have been refilled, the contents vary hugely. Often a cheaper variety of whisky is poured into the bottle, but sometimes more dangerous substances are used instead. In 2016, for example, 30 people died in the Russian city of Krasnoyarsk after drinking methanol that was sold as branded whisky. “In some cases, what appears to be a cheap volume-produced blend has been used in the bottle; in others, a very much younger release of the same brand has been used – some old vintage Macallan bottles contain what we think is Macallan 10-year-old,” Simpson said. “So, for these bottles, while they certainly pose a threat at a brand and industry level, they don’t pose a threat to health. It is estimated that around £41m (€47m) worth of rare whisky currently in circulation is fake. Fans of Scotch, along with the industry’s major players, must remain vigilant if these counterfeit bottles are to be identified – their wallets and their health may be at risk if they do not.